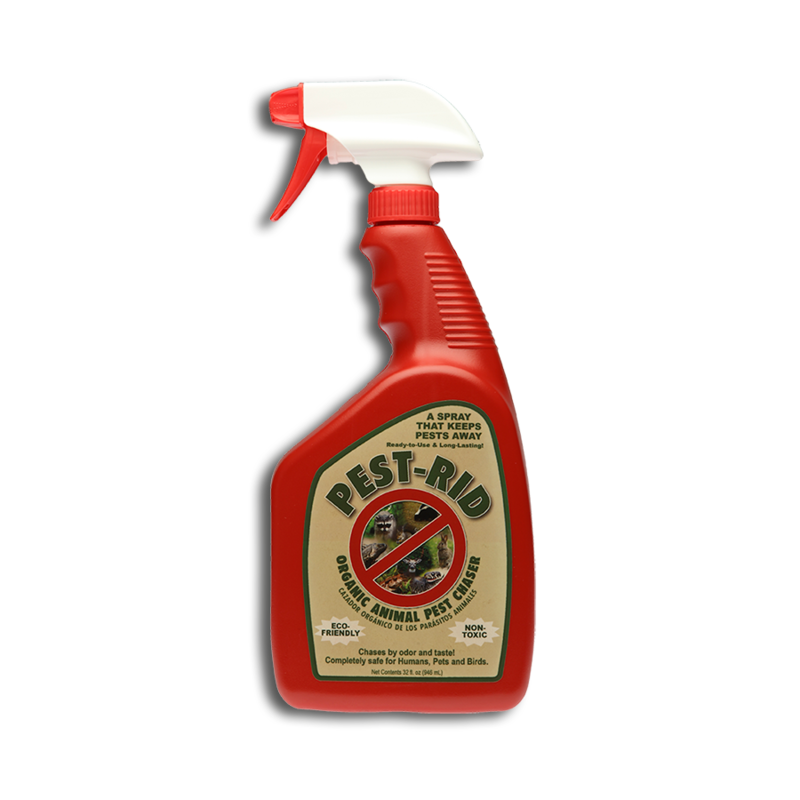 Pest-Rid 1 Gallon Refill Jug contains an organic animal pest chaser that works by odor and taste – a spray that keeps pests away. Just Shake It and Spray It! Ready to Use – No Mixing Required. Safe for Humans, Pets & Birds. 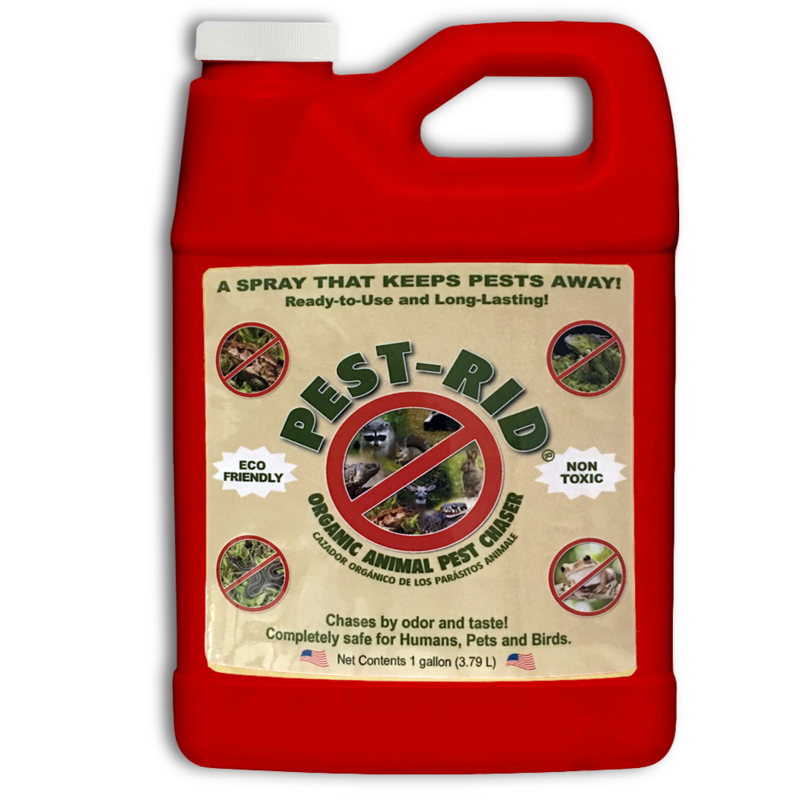 PEST-RID is an all natural pest repellent spray which helps protect Homes, Pool Decks, Plants, Trees, Flowers, & Shrubs from Iguanas, curly tails & other lizards, squirrels, rabbits, frogs & toads, ducks, geese, snakes, deer, raccoons, skunks, etc. 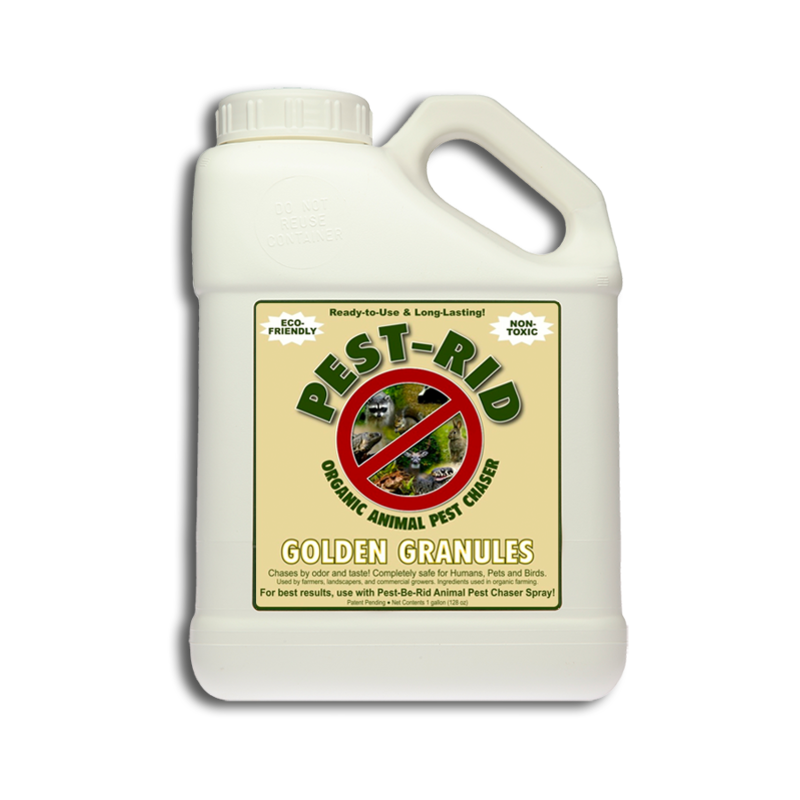 As well as garden pests such as mealy bugs, beetles, white flies, thrips, leaf-chewers, aphids, spider mites, snails & more!